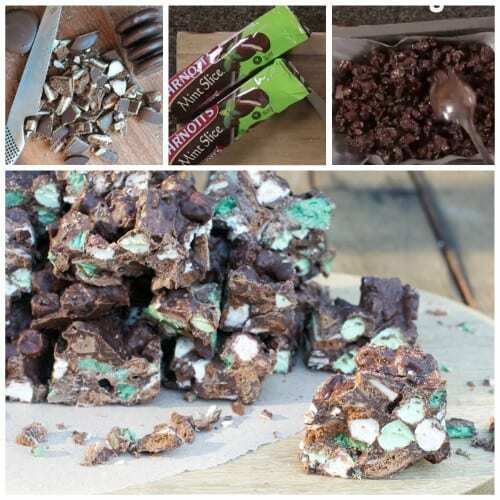 You will love to make these Mint Chocolate Chip Rocky Road Bars and they’re no bake and easy to make. This recipe is a keeper and there’s a reason everyone’s loving it! PHOODIE is legendary! She always comes up with the goods when it comes to amazing and very easy recipes. She loves the old fashioned favorites too! 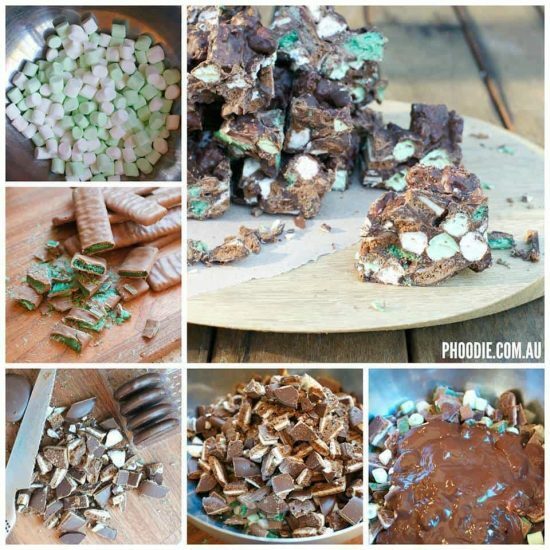 Today we are sharing her very popular Mint Chocolate Chip Rocky Road Bars. There’s a reason that everyone’s going crazy for them and you will too! She is also the face behind the very popular Wizard of Oz Emerald City Mint Cheesecake that has been so popular on our site. 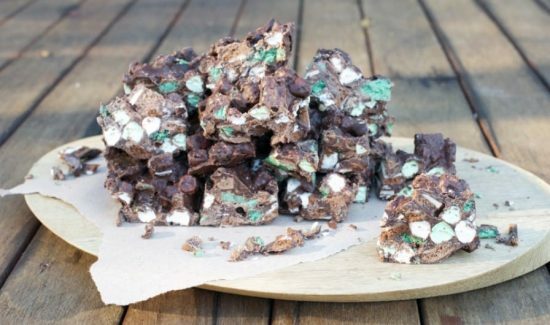 1) Place the 8 chopped Crunchies in a bowl with the marshmallows, chopped Scotch Fingers and Crumbled Caramel popcorn. Mix well. 2) In a microwave (in 10 second bursts) melt the 400g Crunchie Block Chocolate and the 700g of Milk Chocolate. Stir in between each 10 seconds and make sure not to burn! 3) Pour the melted chocolate over the Crunchie mix and stir well. 4) Transfer to your baking paper lined tray and top with 2 x chopped Crunchie bars. Set in fridge.